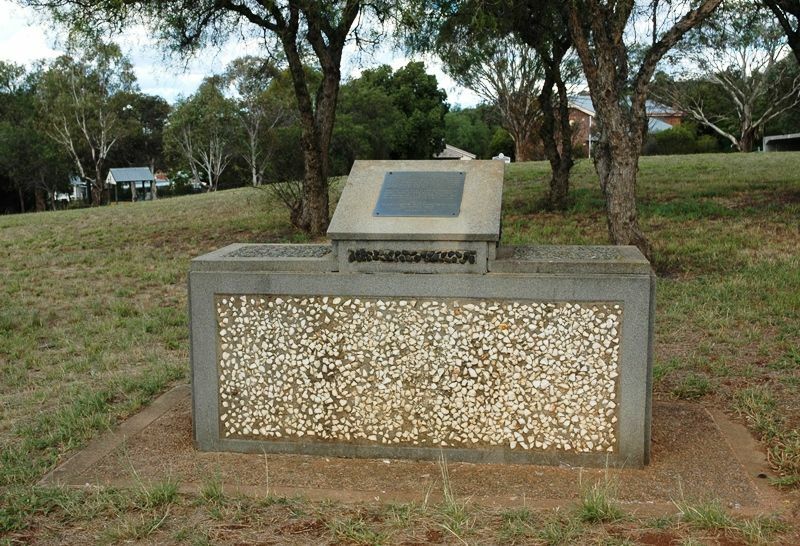 A monument commemorates the discovery of gold by Thomas Saunders on 14 April 1870 and is a tribute to the pioneering goldminers whose work and initiative established the town of Gulgong. Mr Tom Saunders, who was employed at Surface Hill, picked up 14 ounces of nuggetty gold at Red Hill. 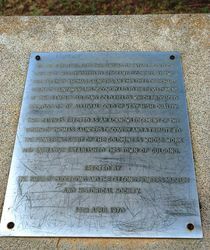 He reported his find as “payable gold” to Sergeant O`Donnel at Two Mile Flat on Holy Thursday, April 1870. This started a small “rush” of miners from Two Mile Flat to the scene of the discovery. The discovery of rich alluvial gold leads in April 1870 brought a great influx of prospectors and Gulgong, Canadian and Home Rule became important gold-producing centres, supporting a population of 18-20 000 people. The alluvial leads in the district were among the richest in the State. Within the first four years of discovery, over 300 000 ounces of gold were recovered. 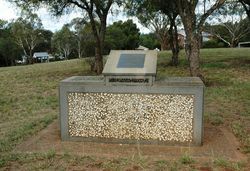 The Gulgong Goldfield produced £2,175, 000 of gold, most of which was won from old stream gravels as much as 60m below the surface several kilometres from Gulgong. Rouse Of Guntawang. His Discovery Led To The Development Of The Famous Gulgong Gold Fields Which Produced 555,000 oz Of Alluvial Gold Of Very High Quality. And Initiative Established This Town Of Gulgong.